If you demand the iconic snap of a Telecaster but love the body-hugging contours of a Stratocaster, the Fender Limited Edition Parallel Universe Whiteguard Stratocaster is for you. Based on the familiar lines of an ash-bodied Strat, Fender then outfitted it with a Tele's Custom Shop '51 Nocaster single-coil pickups and electronics, to deliver the best of both worlds. You'll also be taking full advantage of the guitar's modern-feeling maple neck that lets you get up and down the fingerboard with ease. Like many classic Strats, the Fender Limited Edition Parallel Universe Whiteguard Stratocaster's body is crafted from beautiful ash. Known for its big lows and chiming highs, ash injects this guitar with plenty of snap and clarity. And the Parallel Universe Whiteguard Stratocaster also features expertly executed contours on the top and back. Once you strap this guitar on for the gig, Sweetwater knows you'll appreciate the way these contours make the guitar meld seamlessly with your body. The guitar's performance-driven features extend to the neck in a big way. 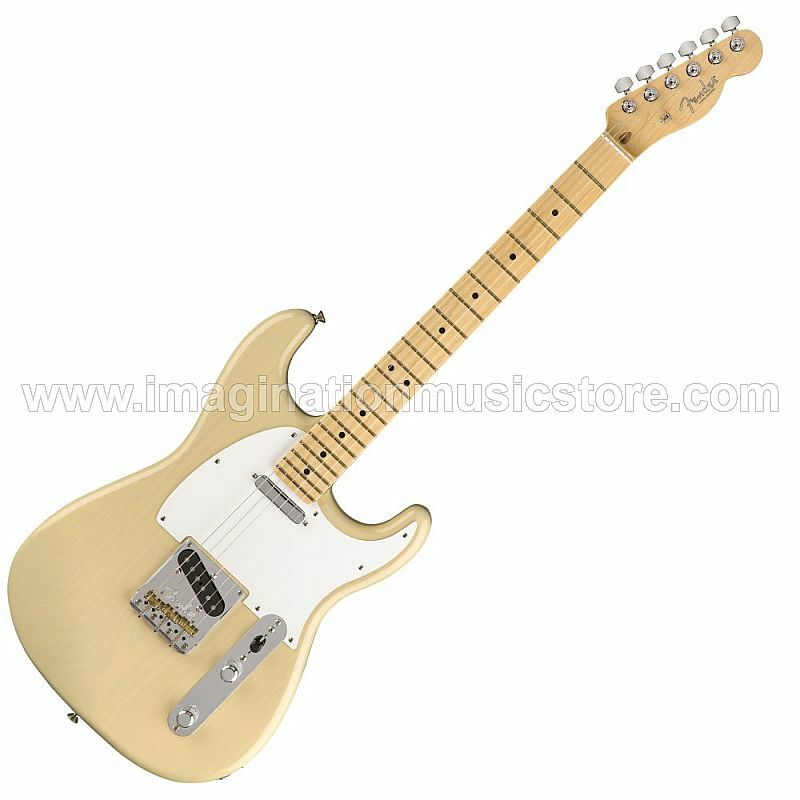 Its all-maple construction and classic-looking Fender logo are perfectly standard. Yet unlike vintage Fenders, run up the fingerboard and you'll immediately appreciate its more modern 9.5" fingerboard radius.The back of the neck sports a Modern C profile that offers the perfect balance of comfort and speed. Even with the customizations to the Fender Limited Edition Parallel Universe Whiteguard Stratocaster's neck and body, it's the guitar's unique combination of Strat design with a Tele's pickup layout that will strike you first. By loading the guitar with two Custom Shop '51 Nocaster single-coil pickups, Fender was able to keep the twang and midrange punch that Teles are legendary for, while still taking advantage of a Strat's comfort.